This week, we’re shipping a new version of Event Espresso — 3.1.29 — to add some new features and bugfixes and correspond with the release of WordPress 3.5. 3.5 is a major release for WordPress, with a lot of stuff happening under the hood. We’ve done our best, working with the release candidates, to catch all the bugs and there are a few key points that we wanted to point out as you prepare your sites for these updates. I can’t stress this enough: when you are making any major changes to your site (which includes updating plugins or WordPress core), if something goes awry or there is an unforeseen bug that slipped through testing and you are without a backup, you are relying on your host to have a backup of your database — if you’re lucky, they’ll have one within the last week; if you’re less lucky, it may be as much as a month or more old. Backup before you upgrade, that way you have something to go back to immediately after something goes wrong (in the unlikely event that it does). Both WordPress and Event Espresso don’t “roll back” easily — there are still changes made in the database when you update that don’t get rolled back by just removing the newer version and putting back the older version, and you could lose data or introduce new issues by trying to “roll back” your WP or Event Espresso installation. If you are even considering “rolling back” as a failsafe, that’s even more incentive to create a backup before you update. For more information on how to create a backup, refer to our support document on creating a backup for a guide and additional links. Like some issues we saw last year with the release of WordPress 3.4, there are a few issues that show up after upgrading to WordPress 3.5 if you are using Event Espresso 3.1.28.5 or lower. This is part of the reason we’ve been working long hours testing and bugfixing this version of Event Espresso. If you upgrade to WordPress 3.5, you will need to upgrade Event Espresso to 3.1.29 to prevent a number of front- and backend errors from showing up on your site. Additionally, if you are using the WP User Integration add-on, you will need to update to 1.9.6. Again, before upgrading anything backup your database. Similar to the requirement to upgrade the WP User Integration add-on to 1.9.6, you’ll need to update your calendar to 2.0.4. This update went out quietly last week, so if you’ve already upgraded your calendar to 2.0.4, you don’t need to do anything. If you haven’t upgraded to 2.0.4 yet, you’ll need to upgrade when you update WordPress otherwise your calendar will not display at all. The update in 2.0.4 updates the fullcalendar.js library to the latest version to be compatible with the newer version of jQuery included in WordPress 3.5. Since compression from php can be problematic on some hosts there are several “switches” (constants) that manage it: define(‘CONCATENATE_SCRIPTS’, false); would turn off both concatenating and compressing of all scripts. We will be adding more documentation in our documentation pages for this new feature, but we are proud to announce the release of a new option to display featured images in your event lists. This works similarly to Featured Images elsewhere in WordPress, though we are not using the same system, so if you are familiar with WordPress theme development, this will still be somewhat different than what you’re used to. This has been on the back burner for a long time and we finally were able to add it to this release. 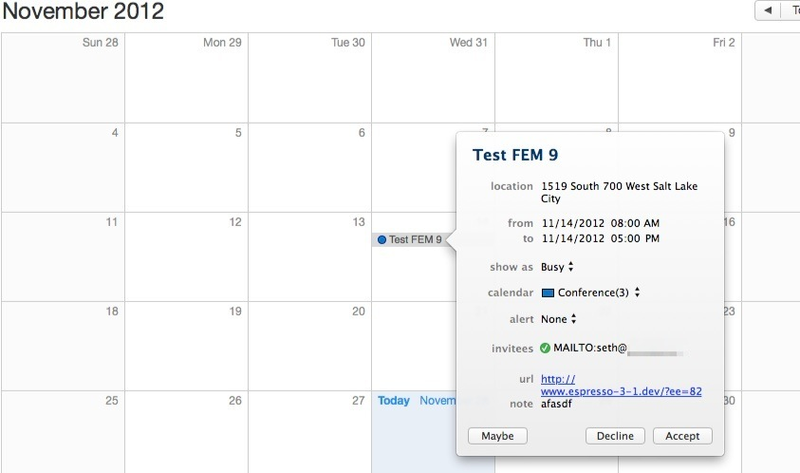 3.1.29 introduces another new feature to add the event to your calendar as an .ical file (compatible with Apple, Google and Outlook calendars). The feature is also activated by default, but you’ll need to re-save your Template Settings to turn it on. So if you are trying to set the Payment Status to COMPLETED while there is STILL monies owing, then the system will override and set it to PENDING. 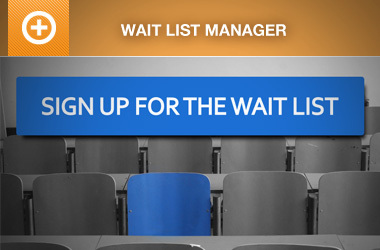 In other words, the only way to set Payment Status to COMPLETED is to set the Amount Paid equal to the Amount Owing. Thousands of attendees or events? We’ve got you covered. 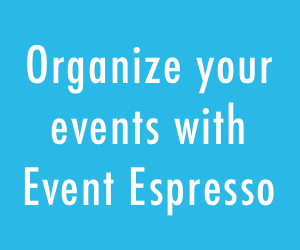 Event Espresso 3.1.29 addresses issues that have been experienced by people with thousands of events or attendees in the Event Overview. We revamped the administration area for managing events and managing attendees so that it loads MUCH faster if you have a lot of attendees or events in your system. The 500 record at a time limit has been removed and replaced with a new setting to only retrieve a specific number of records from the database at a time, and to paginate to the next group of results. This is better for performance than what was happening previously which occasionally caused significant server lag running huge database queries to return your results. This actually isn’t new to 3.1.29 but we haven’t made a formal announcement; coupon codes now work with Multi Event Registration. 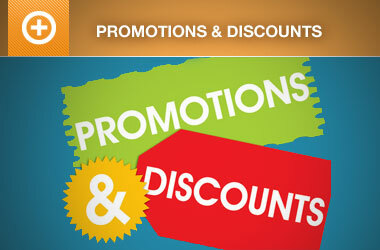 To get started, set the new “Allow discounts in the shopping cart” option to Yes. Discount codes will only apply to the events that accept them (previously, coupon codes would apply to all events in the cart, which led us to disable the promo code box by default). Another change to the way promo codes are handled is that the standard fixed price promo code will apply to each ticket. For example, a promo code good for $5 off previously would discount $5 off the entire order, now it will discount $5 for each ticket. Groupons have been modified so that one Groupon code will apply to all the tickets for one event (similar to how promo codes used to work in the shopping cart). The WP User Integration update includes some fixes to the payment confirmation page for WordPress 3.5. It also includes a major new feature we think you’ll find useful. We know how difficult it is to deal with editing user profiles for WP User Integration if you don’t want to give your users access to the WP backend. We minimized this somewhat with the addition of a My Events front-end shortcode recently, bringing the My Events page to the front end of the site. But users would still need to access the backend to update their user profile and add their address information to have those things saved for their next registration. 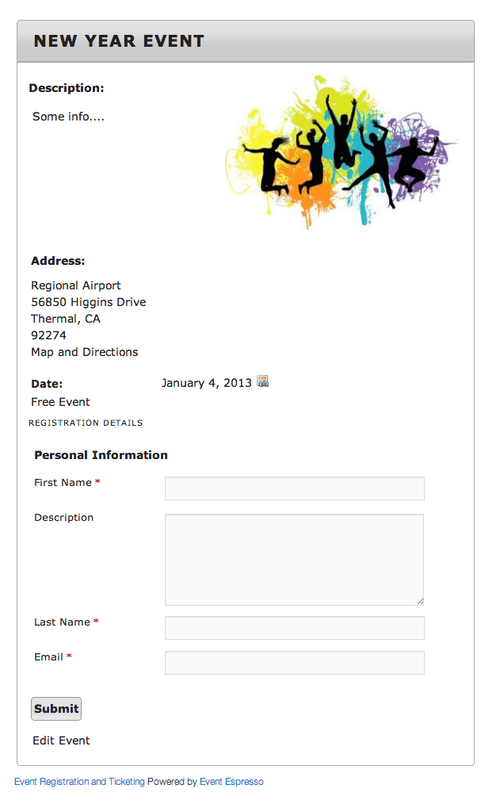 This is why we built a shortcode that creates an edit user profile page and includes the Event Espresso profile fields. The only other way to bring these profile fields to the front end would be to code your own page or modify a plugin like Theme My Profile. The edit user profile page also uses themeroller styles, so if you have themeroller active in your template settings, the edit profile fields will be styled accordingly. Be sure to check our documentation pages for documentation on how to use this new shortcode. Because of recent changes to how the folder names for some of the add-ons have changed and how that ties into the automatic update system, you may not be receiving update notifications to some of the add-ons. Be sure to check your user account page for the current versions of each add-on and your Plugins page to see which versions you have installed. If you are using an older version and not receiving the update notifications, the easiest way to resolve this is to deactivate and delete the add-on from your Plugins, then download the zip file from your user profile page on eventespresso.com. Once you have the zip file, upload it to your server to install. This is another thing that we say with every major release, but it bears saying every time: anyone who has templates in /wp-content/uploads/espresso/templates will need to update their templates or all kinds of things will break if they update the plugin and do not update their templates. Every release we see errors relating to template files that are outdated. Making customizations to the templates is a powerful thing — and like all development projects, when the core software changes, the files that are dependent upon the core software need to be updated to accomodate. With WordPress plugins and themes, this means replacing deprecated functions with new functions. With Event Espresso template files, this means replacing outdated function references with filters and hooks and new features that have been added. In the case of Event Espresso 3.1.29, the major changes to the template files deal with the features I just talked about — featured images and ical links, but there were also fixes added to registration_page.php and confirmation_display.php. We hope that you’ll take a look at the changelog to see all the things that have been updated and that you enjoy the new features that have been added. In addition to what I’ve described above, we’ve also added the Eway Rapid 3.0 gateway, and many bugfixes. As always, if you have any questions or issues, let us know in our support forums. Downloaded WordPress 3.5 and Event Espresso 3.1.29 already? Let us know your favorite features in the comments! That’s because it hasn’t been written yet. The main thing you need to know is the shortcode itself, which is [ESPRESSO_EDIT_PROFILE]. Event Espresso currently does offer an option to limit seat numbers. For example, an event can have Standard and Premium seats. It should have an option to assign number of available seats to Standard and Premium with different prices. Some of your competition does have this feature. It will be good to have it. Currently you can sell only one type of seat, though you can have multiple prices tickets. We agree. That’s why we’re adding this feature into Event Espresso 3.2! I’m having problems after updating Event Espresso and WordPress. The calendar on our webiste disappeard. I’m still using the [ESPRESSO_CALENDAR]code. Should I use an other code now I’ve updated? This is how it looks: http://www.tinyeye.nl/tinyeye-events/ Before the update there was the calende below the button. I realy hope some one can help me! If so, thanks a lot! I think I found the problemen. The Event Espresso is version 3.1.15.P. But the Event Espresso – Calender (so it says at my plugin page) is version 1.11. Except, on my Dashboard is no note that there’s an update available. Could I be right that this is the problem? 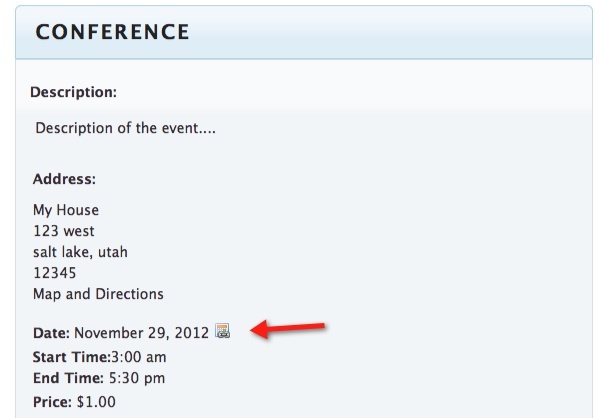 And if so, how/where can I download the newer version of Event Espresso – Calender. Many thanks for the help in advance! Can you post your support question in the support forum (http://eventespresso.com/support/forums/). Hello there, do Promo Codes need to be applied in a registration form, or can we enable them for the multiple registration, like we had in the previous version of multiple registration? I noticed that now we push individuals over to a attendee registration page, rather than have them fill it out underneath the details. Previously, in the shopping cart was where promo codes were applied, though they appear no longer. 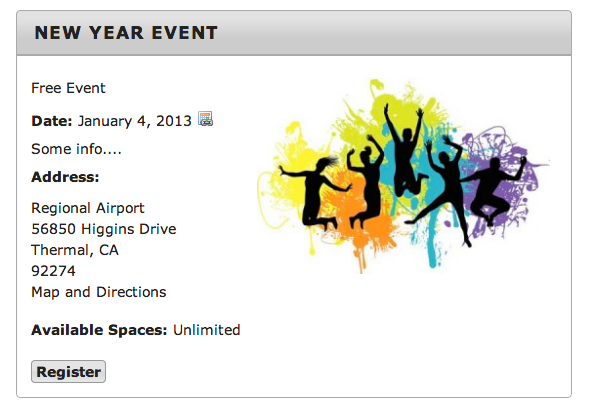 We recently upgraded to WordPress 3.5, and to the most current version of Event Expresso. However now the plugin doesn’t seem to schedule properly when using Safari, but works in all other browsers. Please email me at linda@vintagecanvas.net with any suggestion you may have to resolve this? Sounds like you didn’t upgrade Event Espresso to the latest version. Can you post any other questions you have to the forums so we can help you there? I have been using EE for a while. It worked fine. I updated the EE latest version 3.1.29.P and using wp 3.5. Do i need to reset the site license key? what should I do. thanks and I am sorry. Apparently, it took a few minutes for it to work after the upgrade. Sounds like the old js in the calendar add-on may have been cached in your browser so the new js wasn’t loading.